Let’s get the gripes over with. Yes, the weather can be unpredictable and you might get caught in holiday season traffic. Treating the kids to a boat trip or a day at a theme park can dent your budget. And the sea… well, best pack the wetsuits just in case. 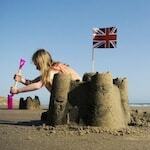 Now for the flip side: England is an amazing place for a family holiday. No, really. I can’t think of anywhere else in the world with such an exciting concentration of child-friendly beaches, adventure-packed national parks and family attractions – from crumbly but cool castles to steam train rides. The family accommodation is unrivalled too – take your pick from lively holiday villages, trendy hotels, cosy cottages and quirky campsites. As for those rainy days, there are plenty of wet-weather boltholes – from interactive museums and historic houses to sealife centres and waterparks. 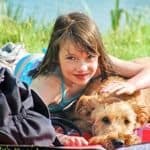 And don’t forget that some of the best things to do with your kids on holiday in England don’t cost a penny – pedalling one of the many family-friendly bike trails, walking the coast path to a hidden beach and visiting a national park visitor centre to name just a few. 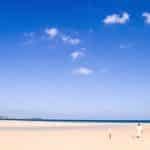 With its split personality – surf beaches on the north coast, sheltered estuaries on the south – it’s not surprising that Cornwall often comes out top in the seaside holiday stakes. Whether your kids like messing about in boats, refining their bodyboarding skills, building sandcastles or delving in rockpools, you’re bound to find the perfect beach. North Cornwall is also awash with legends of King Arthur at Tintagel Castle. You can cycle the Camel Trail from Padstow to Bodmin, meet parrots at Paradise Park or hit the rides at Crealy Great Adventure Park. In South Cornwall there’s the shipshape National Maritime Museum at Falmouth and the wild and wonderful Eden Project and Heligan Gardens near St Austell. 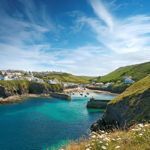 West Cornwall, meanwhile, has the best of both worlds – surf at Whitesand Bay, smugglers’ coves on the Lizard Peninsula, fine art and fine food at St Ives, boat trips on the Helford River, plus big attractions like St Michael’s Mount. Where to stay: Overlooking the north coast at Portreath, Gwel an Mor is a stylish self-catering development of five-star Scandinavian-style wooden lodges. Sleeping up to six people, each lodge has views of the Atlantic and boasts high-quality furnishings and all mod cons. Some feature a hot tub on the deck and wood burner in the living room. 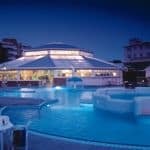 There is also a heated indoor pool, sauna, gym, outdoor play area, spa and wildlife centre. A little further down the north coast, Sands Resort Hotel at Porth is close to some of Cornwall’s most spectacular sandy beaches, including surfing hotspots at Watergate Bay and Newquay. 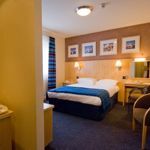 The hotel is supremely family-friendly – there’s a wide choice of accommodation from a double bedroom with cot, to a three-bedroom suite. 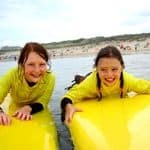 There’s an OFSTED-approved crèche for babies while older children will love the range of adventure activities on offer, which include bodyboarding, rock-climbing and coasteering. 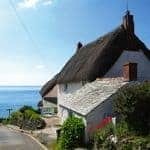 Several cottage agencies offer properties in Cornwall, but one of the biggest selections can be found at Classic Cottages. 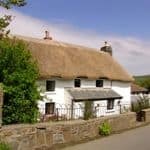 More than 600 Cornish cottages can be browsed here. 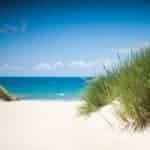 Also try holidaycottages.co.uk. 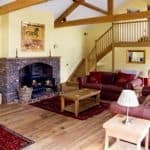 If you don’t want to leave your dog at home, see this collection of more than 200 dog-friendly cottages across the UK and Ireland. North Devon gives Cornwall’s surf sensations a run for their money at beach beauties like Woolacombe Bay, Saunton Sands and Croyde. There are also some great excuses for an adventure – from boat trips to Lundy and pony treks on Exmoor. And if it turns wet you can always set warp drive for The Milky Way farm- and space-themed adventure park. 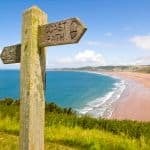 The English Riviera resorts of Torquay, Paignton and Brixham on the South Devon coast are traditional family favourites, but you can’t beat the South Hams with its irresistible tangle of tidal creeks and country lanes. Lying at its heart, Kingsbridge and Salcombe are perfect for unravelling crab lines or learning to sail a dinghy. Top three beaches…? I’d have to plump for Bantham (vast swathes of sand, shallow lagoons, good surf), Soar Mill Cove (streams to dam, caves to explore, lovely walk across Bolberry Down) and Millbay (across the estuary from Salcombe, fine sand, good for paddling). 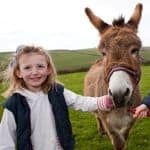 If you can tear your kids away from the beach, Dartmoor makes a fun day out: Picnic next to the rushing streams at Dartmeet, ride the South Devon Railway and feed the lambs at Pennywell Farm. 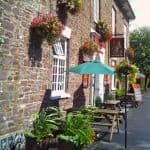 Helpful Holidays is a specialist company with a great selection of self-catering accommodation in Devon including in and around Dartmoor and the South Hams. Straddling East Devon and Dorset, the Jurassic Coast combines fine beaches and seaside attractions at Exmouth, Sidmouth and Lyme Regis with a chance to go fossil hunting – walk along the beach at Charmouth during a falling tide and you may well spot penny-sized, jewel-like ammonites preserved in shiny pyrite. There are also rich pickings on the Isle of Purbeck where the region’s coves, islands and ruined castles inspired Enid Blyton’s Famous Five adventures. Don’t miss Brownsea Island or Corfe Castle. 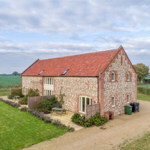 Where to stay: With cottages and farm stays right across Southwest England and the Cotswolds, holidaycottages.co.uk offers everything from converted barns and stone cottages to contemporary apartments. 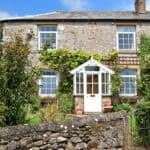 In Dorset, Hardy’s Cottage, near Weymouth, sleeps six and is dog friendly. One of a pair of farm cottages, it enjoys wonderful countryside views and has access to the coast path. The Farmhouse, meanwhile, is just three miles from Charmouth and Lyme Regis, sleeps up to eight people, and is surrounded by large lawns. 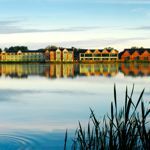 On the other side of Dorset is the New Forest where you’ll find lots of gentle cycle rides, walking routes and attractions from Peppa Pig World to the National Motor Museum. I recommend this collection of luxury family houses and cottages. Also in a prime spot for exploring the Jurassic Coast, PGL has an adventure centre at Osmington Bay with excellent watersports facilities at the 2012 Olympics sailing venue. 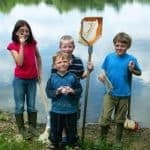 If you think your kids will enjoy plucking ammonites from the beaches of the Jurassic Coast, just imagine what they’ll make of the Isle of Wight with its rich dinosaur pickings. At Dinosaur Isle they’ll be whisked back to the Cretaceous when the Isle of Wight was prowled by the predatory Neovenator salerii, as well as giant lumbering sauropods and armour-plated ankylosaurs. Join one of the museum’s fossil walks in search of dinosaur tracks and bones. The Isle of Wight is no dinosaur, though, when it comes to sport. 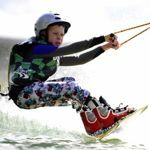 You won’t find a better place in the UK for kids to learn how to sail, while courses in surfing, kitesurfing, windsurfing, wakeboarding and waterskiing are also available. The island has no less than 320km of cycle trails and 800km of footpaths (take a kite and send it flying above flower-speckled Tennyson Down). As for beaches, my favourites are Sandown and Ventnor Bay for fully-fledged seaside resorts, and Steephill Cove for something quieter and more secluded. 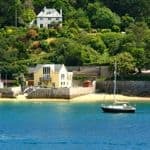 Where to stay: stay at one of these lovely family cottages which includes a range of dog-friendly properties and even a houseboat in Bembridge Harbour. Or send the kids to camp. 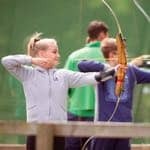 Kingswood Camps runs residential holiday camps for 7–17 year olds at its centre near Bembridge on the Isle of Wight. You will also find plenty to keep you busy at Little Canada – the PGL centre near Fishbourne on the Isle of Wight. The wide, sandy beaches and crystal-clear seas of the Channel Islands are legendary, but there are also plenty of other attractions to inspire children of all ages. The best family beaches on Jersey include Green Island (a south-facing suntrap), La Rocque (with its captivating rockpools), St Brelades (a good spot for windsurfing or kayaking) and St Ouen’s Bay (the island’s best surf spot). Away from the beach, be sure to visit the Durrell Wildlife Park and hands-on Maritime Museum in St Helier. There’s also a medieval castle to be explored, as well as a couple of action-packed adventure parks. Where to stay: Located in St Saviour on the south coast of Jersey, The Merton Hotel makes an excellent base for a family holiday in the Channel Islands. 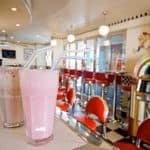 Accommodation includes spacious family suites, triple-bedded rooms and serviced apartments with self-catering facilities, while restaurants range from the Belvedere for three-course buffet dining to the fun and funky Jersey Joe’s American diner. The facilities are top notch too. As well as a range of child care services and play areas, there’s an impressive Aquadome pool complex with water slide, lazy river and spa pools. You can also burn off your Cotswold cream teas on the 100-mile Cotswold Way between Chipping Campden and Bath (there’s good roly-poly potential at Dover’s Hill). For animal lovers, the Cotswold Wildlife Park near Burford is a must (don’t miss the meerkats, penguins and otters in the walled garden); kids will also enjoy exploring the gardens at Hidcote Manor and Westonbirt Arboretum, tackling the maze at Blenheim Palace and feeding the trout at Bibury. Where to stay: For self-catering cottages in the Cotswolds, also try Rural Retreats and Sykes Cottages. 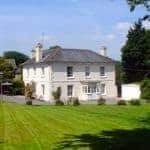 Specialising in properties for 10 or more people, The Big Domain has some great houses for multi-generation family holidays or big family celebrations. In the Cotswolds you can choose from Georgian town houses and country manors to farmhouses and riverside lodges. The five-bedroom Lake House, near Lechlade, offers lakeside luxury on a private 650-acre estate with its own spa and indoor pool. Pick of the crop has to be Norfolk’s north coast, where your kids will rediscover the simple pleasures of kite flying, beachcombing and crabbing. Brancaster and Holkham are two of the best sandy stretches, while the quay at Wells-next-the-Sea is a popular spot for dangling crab lines. 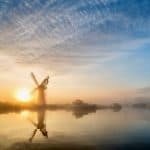 You can’t go on holiday to Norfolk and not join a boat trip – get afloat at either Hunstanton or Morston Quay for encounters with seals, or hire a boat to nose around the reed-fringed waterways of the Norfolk Broads. North Norfolk is also big on steam train rides – hop aboard the Poppy Line at Sheringham. 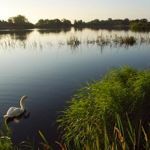 Other attractions include stalking the boardwalks at Ranworth Broad, birdwatching at Titchwell Marsh, visiting the seal rescue centre at Hunstanton and going wild (and arboreal) with Boggles, Twiggles, Thornyclods and Crocklebogs at the Bewilderwood adventure park. 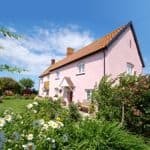 Where to stay: the specialist company Kett Country Cottages has more than 200 rental properties in Norfolk including many on the coast and on the Norfolk Broads. 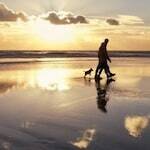 Check out its dog-friendly options and its range of luxury cottages. 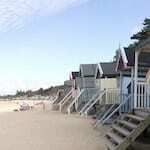 Kingswood has two activity holiday camps in North Norfolk. Pitch a tent with a lake view, skim stones, glimpse a red squirrel, sail a stick down a gurgling beck. Trekking poles and Goretex are not compulsory in the Lake District. But if you do want to raise the adventure stakes a little, you could always rent a canoe and paddle out to a deserted island on Ullswater or lose yourself in the maze at Muncaster Castle. Teenagers might be hell-bent on conquering Helvellyn or learning how to make fire with the Woodsmoke bushcraft school, while toddlers might be happier visiting Peter Rabbit at the World of Beatrix Potter or feeding the Jemima Puddleducks on the shores of Lake Windermere. Northwest England’s high and mighty national park is even a safe bet for families with babies – pack a picnic and head to Tarn Hows where a buggy-friendly trail loops through beautiful lakeside woodland. 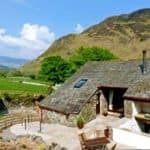 Where to stay: Sykes Cottages offers more than 370 holiday cottages in the Lake District, sleeping up to 18 people and ranging from rambling stone cottages to grand country houses. A charming courtyard of refurbished Victorian farm buildings, Graythwaite Cottages are located on a 5,000-acre estate near Hawkshead. Each of the properties has access to an indoor heated swimming pool, games room and children’s play area. For keen fishermen, there’s even a lake stocked with rainbow trout. Rural Retreats also has some characterful properties in the Lake District. There are some superb National Trust campsites in the Lake District, such as Low Wray on the shores of Windermere. 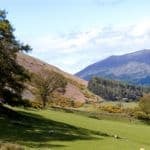 Although Activities Abroad mainly offers overseas holidays for families, their six-night Active Lake District itinerary promises non-stop action in the Borrowdale Valley and on Derwent Water. Suitable for families with children age 10 and above, the trip features hiking, rock climbing, scrambling, abseiling, canoeing and sailing – with a chance to relax each night in a country house hotel. A great excuse for getting out and about after the long winter months, Single with Kids offers a three-night May Bank Holiday break in Ambleside for single-parent families. Before you head out to the moors or coast, you might want to plan a day or two in York – there’s plenty to interest kids, including the National Railway Museum and Jorvik Viking Centre. 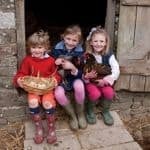 The 554-square-mile North York Moors National Park combines coast, forest and moorland and has loads to offer families. Robin Hood’s Bay is renowned for rockpooling, while Dalby Forest is the place to go for mountain biking, badger watching and bushcraft. Steam trains on the North Yorkshire Moors Railway chuff between Pickering and Whitby where the celebrated Magpie Café serves proper fish and chips with mushy peas. Fossil hunters should head to Runswick Bay or Sandsend; Filey has the best beach for sandcastles, while the stretch of coast at Bempton Cliffs is smothered with gannets, guillemots and puffins between April and August. 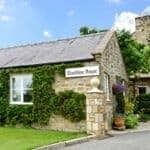 Where to stay: A lovingly refurbished cottage in the unspoilt village of Gillamoor, Heather Cottage sleeps up to four people (and two dogs) and makes a great base for exploring the North York Moors National Park. It’s one of several properties available from Rural Retreats. For an unusual coastal option, you can also rent one of two holiday cottages at Whitby Lighthouse. Seal and puffin spotting on a boat trip to the Farne Islands tops most children’s wishlist on a holiday to Northumberland. A close second, Alnwick Castle starred in the first two Harry Potter films and was famously depicted as the setting for Quidditch lessons. Bamburgh Castle and Holy Island’s Lindisfarne Castle are also well worth visiting, as is Kielder Water & Forest Park where activities range from osprey spotting and star gazing to sailing, cycling and zip-wiring. As for glorious sandy beaches, Northumberland has them by the bucketload. You won’t find a better place to build a sandcastle than Bamburgh Beach (the clifftop castle is a useful reference); Beadnell Bay is big on waterports, Newton Haven has good rockpools, and you might get Warkworth Beach all to yourself. Where to stay: Cottages in Northumberland. 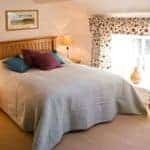 has around 200 cottages in Northumberland including many directly on the coast, some dog-friendly properties and other with access to a swimming pool or their own hot tub. 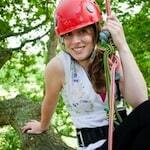 Kingswood has a junior woodland adventure camp near Hexham.